The storm also damaged over 12 passenger buses that were parked along the roadside during the incident. 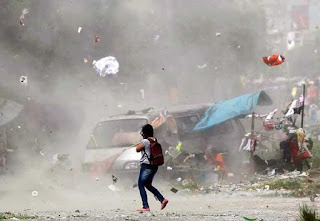 KATHAMANDU: 29 people have been confirmed dead 600 injured as a freak storm shattered numerous locations in southern Nepal, the storm with high speed wind brought down houses, fliped vehicles and uprooted trees and electricity poles. Heavy winds, hailstorms and rain hit Bara and the neighboring district of parsa during the late hours of sunday. From report given by the officials, 28 were killed in Bars, 128 kilometers south of kathamandu, while only one person was confirmed dead in parsa. High winds flipped cars and blew one passenger bus off a highway, causing fatalities. According to police, many people were either killed after getting buried under rubbles of houses and metal roofs that flung all over the settlements, or after coming under the electric pylons and trees that were uprooted as the disaster advanced. 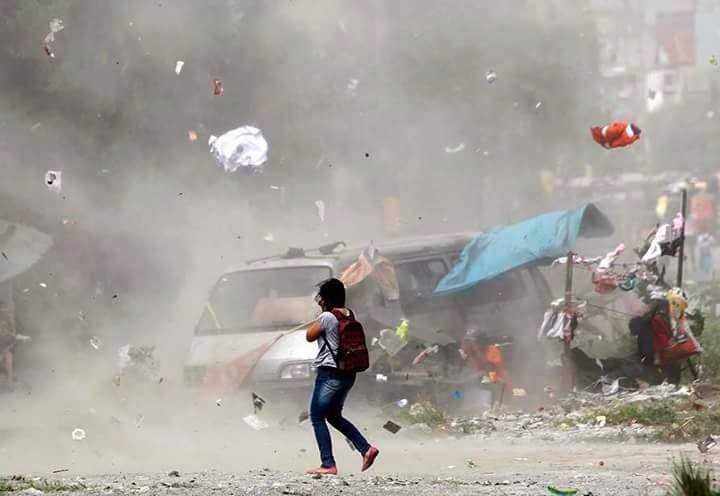 According to Province 2 Attorney General Dipendra Jha, majority of the 600 injured are from Pheta and Bhulahi Bharwaliya areas in Bara's Pheta Rural Municipality, which have mostly been affected by the hailstorm. Security agencies including two battalions of Nepal Army, Nepal Police and Armed Police Force of Nepal have been mobilised to carry out rescue and relief operation in the affected areas, according to Bara's Chief District Officer (CDO) Rajesh Poudel. An emergency meeting of Province 2 Council of Ministers held Monday decided to provide Rs 300,000 to each victim's family along with relief package including tents, food items, medical supplies, among others. Provinces government has pleaded with health institutions to provide free medical treatment to the injured. The shortage of blood supplies has been taken care of at the moment while medical supplies are also well-stocked. Prime Minister K P Shrma Oli sent out condolences to those families who mourned loved ones and also visited the affected areas. The government has also been urged to declare a state of emergency in the effected areas.